Ever wondered what it feels like to be on top of the world - or, at least on top of the tallest building in Tokyo? 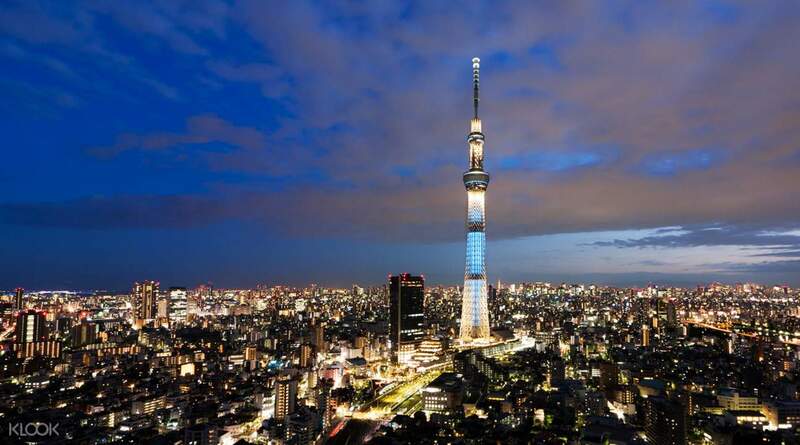 Turn your dreams into reality when you visit the newest landmark in town, the TOKYO SKYTREE® and marvel at its stylish and neo-futuristic design that definitely adds to the Skytree’s charm apart from being the most towering structure in town. Climb up the 350m or 450m observation decks and witness unmatched 360 degree views of the entire Tokyo Metropolis that you won’t get to see anywhere else - just choose from the Tempo Deck or Tempo Galleria packages! Make your way to the tower’s 4th floor where you will have a quick and smooth elevator ride up the 350m observation deck or the 450m Tembo Gallery, known as the world’s highest skywalk with a sloping spiral ramp that gains height as it circles the tower. 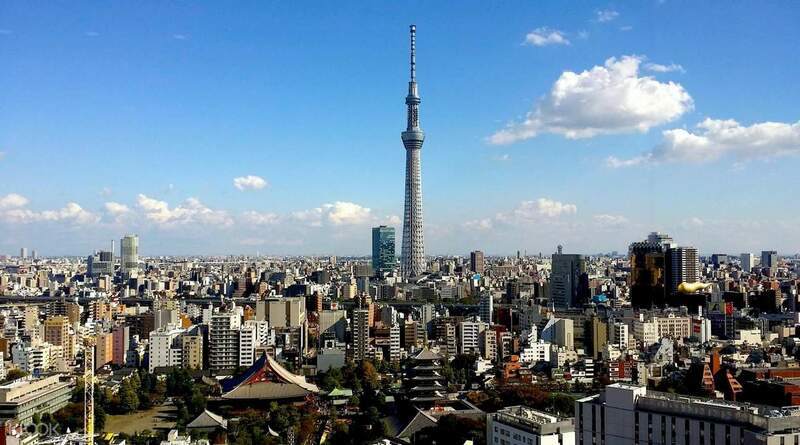 Remember a few tips before going to TOKYO SKYTREE®, if you go in the morning, you might get a chance to see Mt. Fuji rising from the distance, or if you drop by in the evening, you will be in awe of the thousands of lights illuminating the entire Tokyo City. Get your admission tickets to the TOKYO SKYTREE® through Klook for fast and convenient access to the this new Tokyo gem. Lucky to have experienced the sightseeing of Japan in the Skytree Tower with my family. 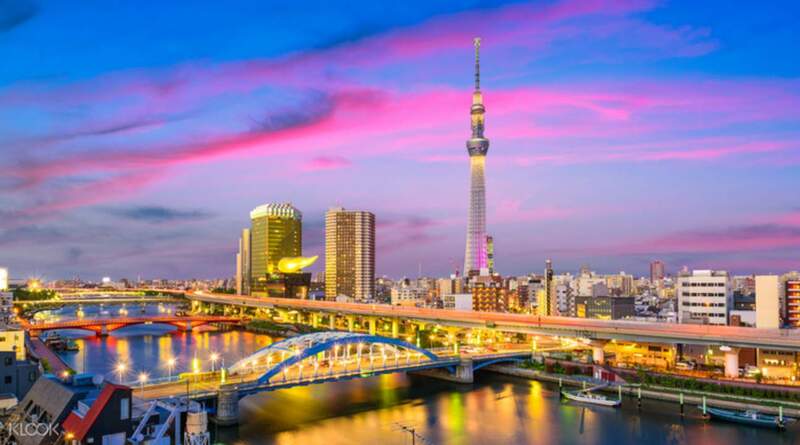 If given the chance to go back to Japan again, we would surely include in our itenirary the visiting of the Skytree to see the breathtaking view of Japan. Lucky to have experienced the sightseeing of Japan in the Skytree Tower with my family. If given the chance to go back to Japan again, we would surely include in our itenirary the visiting of the Skytree to see the breathtaking view of Japan. I booked this on the same day we went to the SkyTree. Easy to use, just present the voucher to the very polite staff and they will immediately assist you to have it exchanged to a ticket, and voila! You can see tokyo from here. I suggest to go see the daylight, sunset and evening view. I booked this on the same day we went to the SkyTree. Easy to use, just present the voucher to the very polite staff and they will immediately assist you to have it exchanged to a ticket, and voila! You can see tokyo from here. I suggest to go see the daylight, sunset and evening view. It was raining and the visibility was poor when we visited. The staff was kind enough to remind us that we can use our ticket in another time for us to enjoy the view. Sadly, it was our last day and we had no choice but to use it. Had fun nevertheless. The staff was kind and very hospitable. It was raining and the visibility was poor when we visited. The staff was kind enough to remind us that we can use our ticket in another time for us to enjoy the view. Sadly, it was our last day and we had no choice but to use it. Had fun nevertheless. The staff was kind and very hospitable. Great deal because you don’t need to queue to purchase tickets. Just approach one of the attendants and show your klook voucher. They will assist you to the counter so that you can get the actual ticket. Great deal because you don’t need to queue to purchase tickets. Just approach one of the attendants and show your klook voucher. They will assist you to the counter so that you can get the actual ticket. I booked 5 tickets just an hour before we went to Tokyo Skytree area. The line was super long but we were able to collect our tickets in just minutes. I got a few promo codes ad well so all in all, we saved a lot of time and money! I booked 5 tickets just an hour before we went to Tokyo Skytree area. The line was super long but we were able to collect our tickets in just minutes. I got a few promo codes ad well so all in all, we saved a lot of time and money! Great view of taking photo with Tokyo city. comfortable area to spend time too. Don't need to wait for long Q (wait time could be 1 hr}) if you purchase from klook. I love the photo album, good quality... it's just costs you 1300 yens. Great view of taking photo with Tokyo city. comfortable area to spend time too. Don't need to wait for long Q (wait time could be 1 hr}) if you purchase from klook. I love the photo album, good quality... it's just costs you 1300 yens. Tallest tower in the world and not to be missed while in Tokyo. Yes there are other buildings with great views of Tokyo but none taller than this. We went midweek and it wasnt too busy. Ordering with Klook could not have been simpler. We bought tickets about 20 minutes before arriving the tickets were emailed to our phone within a couple of minutes. And we skip the main queue to buy tickets to a desk were we show our klook passes. Very easy. we opted for the 350m and 450m viewing decks. The 350m is already very spectacular and will take your breath away at the views. The extra lift ride to the 450m deck which is the highest is just that little more impressive height, we were not disappointed to buy tickets for both decks, but if you want to save money the 350m deck is excellent and will not disappoint. There is a lovely cafe at the 350m deck which was not busy on a midweek afternoon and we were able to have a snack while taking in views over Tokyo. Tallest tower in the world and not to be missed while in Tokyo. Yes there are other buildings with great views of Tokyo but none taller than this. We went midweek and it wasnt too busy. Ordering with Klook could not have been simpler. We bought tickets about 20 minutes before arriving the tickets were emailed to our phone within a couple of minutes. And we skip the main queue to buy tickets to a desk were we show our klook passes. Very easy. we opted for the 350m and 450m viewing decks. The 350m is already very spectacular and will take your breath away at the views. The extra lift ride to the 450m deck which is the highest is just that little more impressive height, we were not disappointed to buy tickets for both decks, but if you want to save money the 350m deck is excellent and will not disappoint. There is a lovely cafe at the 350m deck which was not busy on a midweek afternoon and we were able to have a snack while taking in views over Tokyo. Love seeing the entire Tokyo at night. A must see indeed. They have 4 view spots of Tokyo to see and a free entrance to Mori Museum which is a plus. Over all experience, it was excellent. Would recommend this activity. Love seeing the entire Tokyo at night. A must see indeed. They have 4 view spots of Tokyo to see and a free entrance to Mori Museum which is a plus. Over all experience, it was excellent. Would recommend this activity.